Yesterday Ranking Member of the Senate Judiciary Committee Dianne Feinstein announced she had received a letter from an unnamed woman accusing Supreme Court nominee Brett Kavanaugh of wrongdoing. She didn't reveal what was in the letter, didn't share it with Republican colleagues on the Committee for review and referred Kavanaugh to the FBI for investigation. “I have received information from an individual concerning the nomination of Brett Kavanaugh to the Supreme Court. That individual strongly requested confidentiality, declined to come forward or press the matter further, and I have honored that decision. 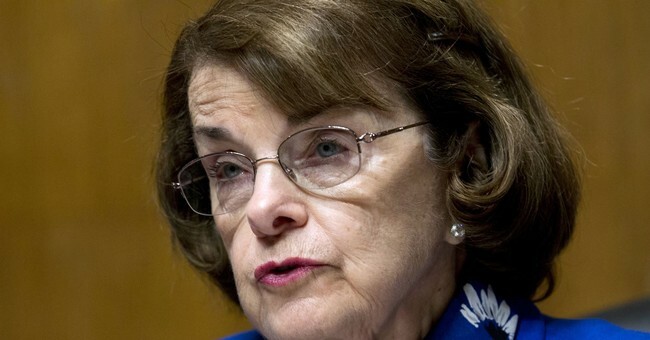 I have, however, referred the matter to federal investigative authorities," Feinstein released in a public statement. But Feinstein's pathetic 11th hour stunt to stop Kavanuagh's nomination through character assassination quickly fell apart. The letter wasn't new and Feinstein had it in July. With a tough re-election battle in far-left California, she chose to acknowledge its existence yesterday. Further, it was a big nothing burger. The FBI also yawned at Feinstein's antics.